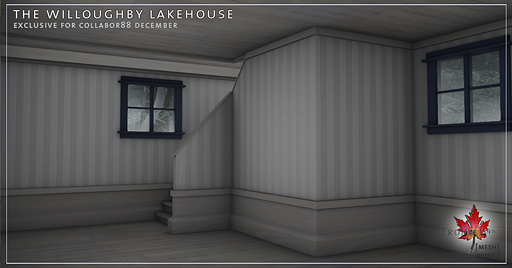 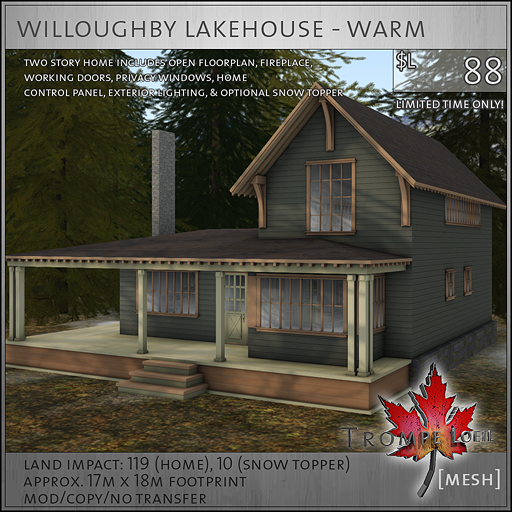 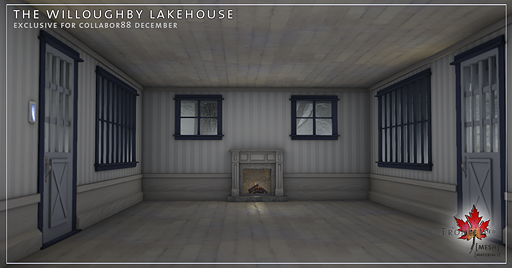 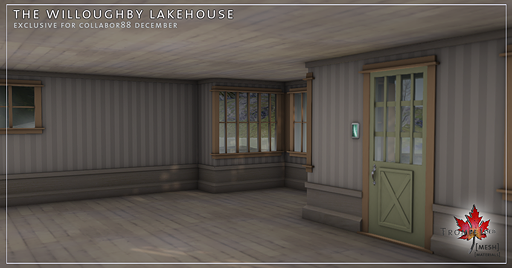 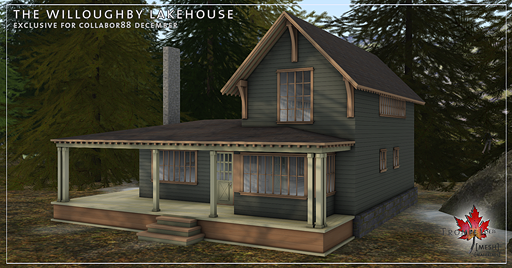 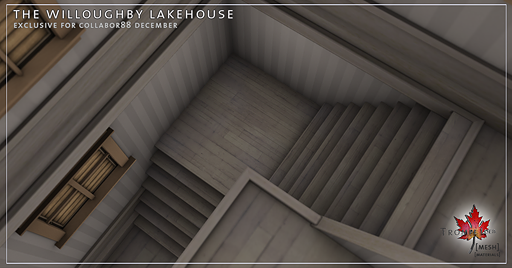 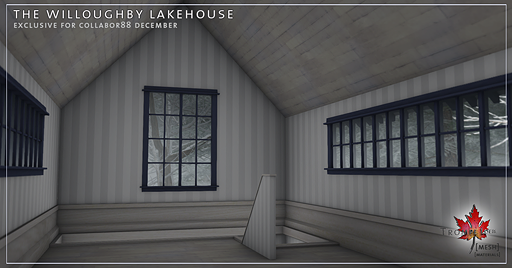 The Willoughby Lakehouse late for Collabor88 – only $L88 the rest of December! 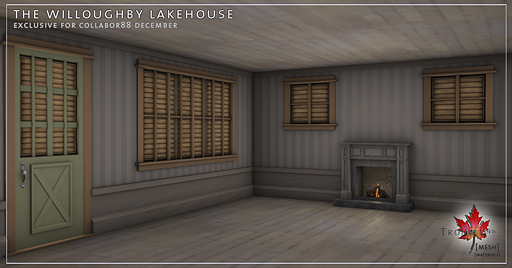 December is so, so hectic – and Trompe Loeil got swept up too! 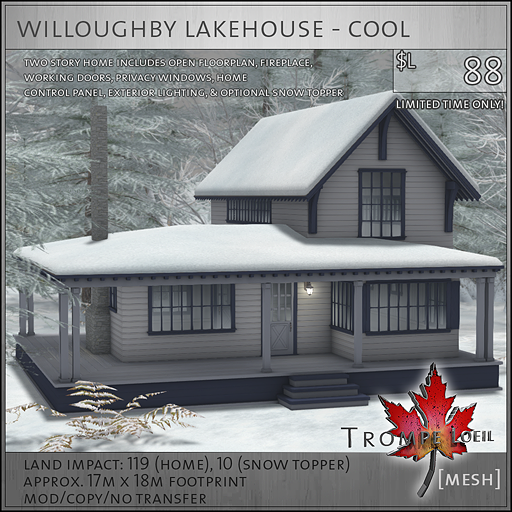 Finals, family, and all those holiday preparations meant that our Collabor88 prefab was just a bit late this month, but to make up for it we’ve put it out in two color schemes, included a free snow topper, and put each on sale for only $L88 the rest of the month – come by and check out the Willoughby Lakehouse! 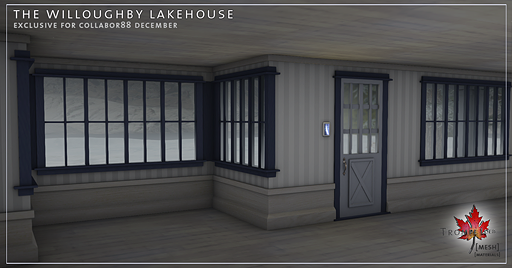 This two-story, open floorplan lakehouse includes working fireplace with fire, our *home control scripting system for lockable doors, privacy windows, admin/access list and exterior lights, materials-enabled for an even better and realistic look, a bonus optional snow topper for those winter months, and each color version – cool and warm – is only $L88 for the remainder of December’s round! 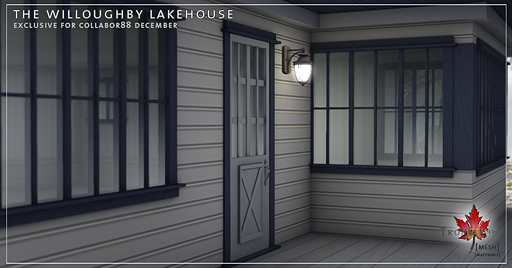 Stop by C88’s brand new display area to check out both versions in person, and grab yours (or some for friends) before the month is out. 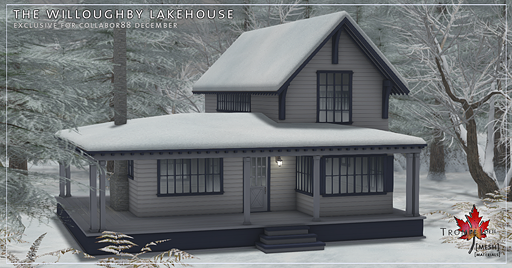 Happy holidays to all!